The seed pod of S. amambayensis is very ball-like, much closer to a sphere than the fruits of most other sinningias. It does have a point where the style is attached. The style is persistent, remaining on the developing fruit long after it has dried up. 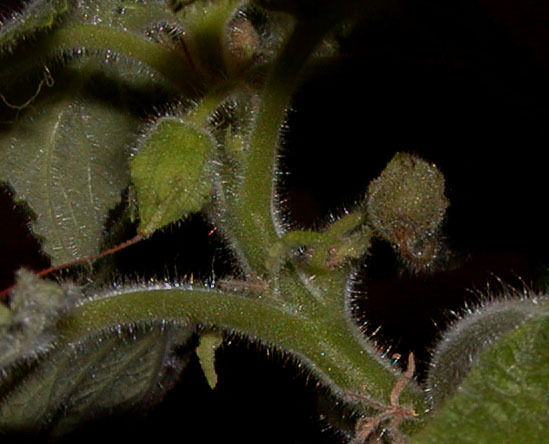 The calyx wraps entirely around the fruit; when the fruit is ripe, the calyx lobes separate, and the fruit inside splits open. The seeds of S. amambayensis are larger than those of most sinningias. Instead of being tiny bits of red dust, they are small bits of red grit.